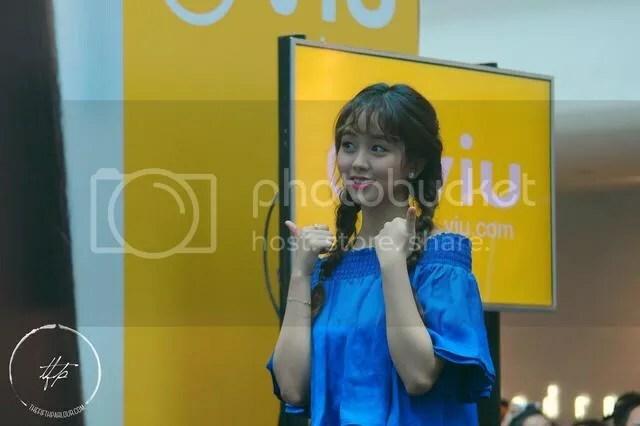 Yesterday, South Korean rising actress, Kim So Hyun delightfully greeted both fans and media at Plaza Singapura for her first ever fan event in Singapore – Kim So Hyun 1st Meet & Greet in Singapore. Hosted by Viu, the public event which lasted over 45 minutes gathered enthusiastic crowds up till the sixth floor of the mall, leaving the starlet in awe. Overwhelmed by the crowd, the 17-year-old actress smiled shyly to fans and generously posed with heart fingers for the 1000-strong crowd. Before an interactive game session with five lucky fans, Kim shared her thoughts about her latest hit drama – Bring it on Ghost and talks about her friendship with former child actress counterpart, Kim Yoo Jung. In the webtoon-based supernatural drama, Kim took on the lead role as Hyun Ji – ghost of a schoolgirl who later became an assistant for exorcist, Bong-pal (played by Ok Taecyeon). In contrast to her on-screen character, Kim shared that she is actually scared of ghosts and anything supernatural. She also shared a scary episode during the filming of the drama when strange women voices were heard on the headphone, leaving the set silenced in fear. Kim’s extensive filmography as an actress is testimony to her talent and capabilities. Throughout her 10 years in acting, she has crossed paths and worked with many other talented actors such as Yeo Jin Goo and Seo Ji Soo. When asked who she had the best chemistry with, she answered Ok Taecyeon. This came as a delight to fans of the duo on Bring it on Ghost and cued cheers from the crowd. She added, “I think it is partly because of the nature of the characters in the drama. The role acted by Taecyeon was more of a masculine one”. The starlet also expressed her interest to work with also former child actor Yoo Seungho if given the opportunity. 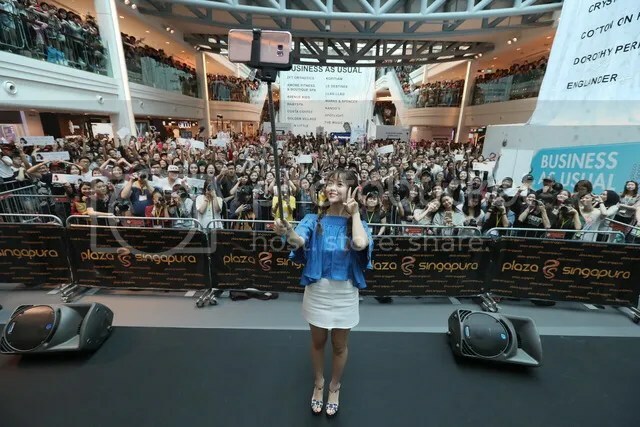 After the short media session, Kim went on to choose five lucky fans from the crowd to participate in a lucky draw onstage. Some of the prizes include a selfie, having eye contact for 10 seconds and even the chance to get fed with pepero sticks by the starlet. Later, fanmade videos compiled by Viu were screened and it clearly touched the heart of the young actress. Wrapping up the event, Kim shared that while there are still no concrete plans currently, she hope to meet the fans again very soon through a new drama. Despite it being close to the national level examinations period, it was evident that there were plenty of young fans in the crowd. Kim took the chance to cheer them on, cueing cheers from the crowd. To remember the moment, Kim took a group selfie shot with fans and made one last bow to the crowd. For Korean-related events, there were hardly a time when I could recall a host conversing in both English and Chinese. Though it was mostly prior to the arrival of the starlet, I felt slightly perplexed and personally felt the language barrier as a non-Chinese speaking audience. 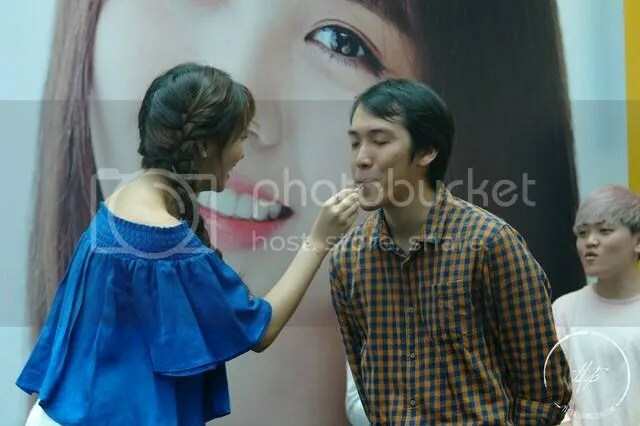 Nevertheless, having witnessed the moments between Kim and the fans, I am sure most left the atrium with a full heart. In addition to Bring It On, Ghost, fans of Kim So Hyun will also be able to watch more of the actress’ past works on Viu for free. This includes Who Are You: School 2015, The Mysterious Housemaid, The Moon Embracing the Sun and Missing You, for which she won the Best New Actress at the 2015 KBS Drama Awards, New Star Award at the 2013 SBS Drama Awards, and Best Young Actress at the 2012 MBC Drama Awards. Viewers can also watch her rise to fame in other notable dramas such as Page Turner, I Hear Your Voice, Rooftop Prince and King of Baking, Kim Tak Goo, which are also available on viu.com or the Viu mobile app for free. 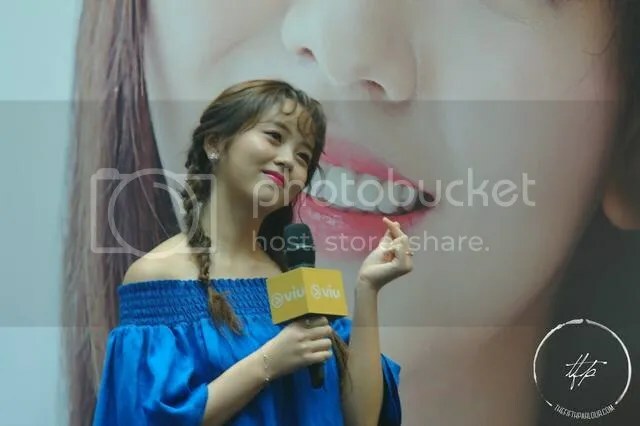 The Fifth Parlour would like to thank Viu for the opportunity to cover Kim So Hyun 1st Meet & Greet in Singapore.